You don't want to be bitten by an Australian tiger snake. This banded serpent, found in the southern reaches of the island continent, has a venomous strike that can affect an array of your body's systems – causing everything from headaches and paralysis to problems clotting blood and muscle tissue breakdown. It's a practically perfect venom, and it's remained unchanged for nearly ten million years. But while this might not sound like good news for us, a recent study of the snake's deadly injectable underscores how it can help to save human lives. The new research, led by University of Queensland biologist Bryan Fry, investigated the venom of Australian tiger snakes and their close relatives. 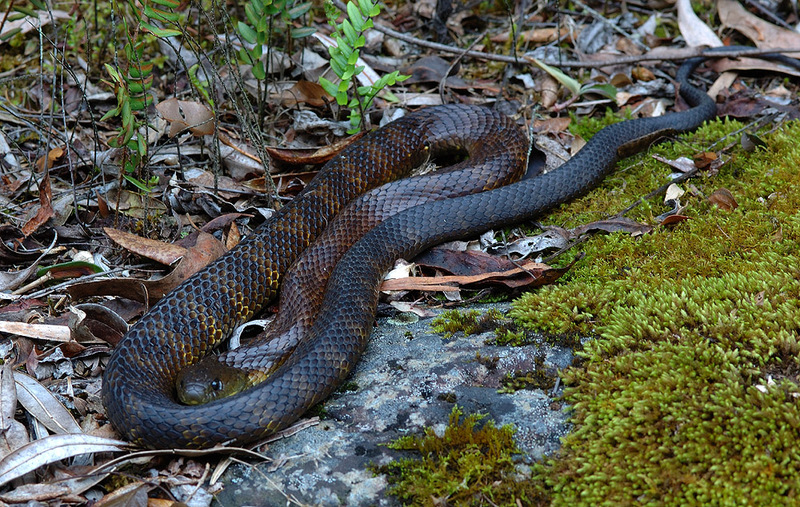 The team studied 16 tiger snake populations, as well as 11 other related snake genera for comparison. What they found ran counter to traditional expectations of how snake venom evolves. "A long-held belief is that snake venom varies with diet," Fry says, with the venom changing as the snakes themselves evolve and select new forms of prey. That scenario posits an evolutionary arms race between predator and prey, with natural variations in both venom and venom resistance among prey animals keeping the pressure on. But when Fry and colleagues compared the toxins in tiger snake venom with those of their close relatives, the deadly active ingredients were "almost identical". Plotting this out on the snake evolutionary tree, the team proposes that the venom these reptiles use hasn't changed much at all in about ten million years. The venom's deadly secret means it didn't really need to. Snake venoms aren't all the same. Depending on the toxins present, they can have a wide range of effects. In the case of the tiger snakes and their relatives, a stroke of evolutionary luck handed them a near-perfect weapon: toxins within their venom dramatically affect the physiological system responsible for blood clotting. "[T]he toxins target a part of the blood-clotting cascade that is almost identical across all animals," Fry explains. This not only makes the tiger snake's venom a widely effective killer, but it also puts prey in a biological corner, one they cannot evolve out of: the importance of blood being able to clot means the complex coagulation process simply can't change much. And that also means there's no reason for the tiger snake's lethally efficient venom to alter much over time, either. "This is a novel twist to the chemical arms race which most snake venoms evolve under," says Fry. Now, here's the good news. Its potency also makes tiger snake venom extremely useful as an antivenom. Because of the close venomous ties between tiger snakes and their kin, the study points out, antivenom derived from a tiger snake has a high degree of cross-reactivity: antivenom that works on one type of tiger snake will work against bites from other Australian snakes that affect blood in the same way. "No other antivenom in the world is so spectacularly effective against such a wide range of snakes this way, and now we know why," Fry says. More than that, this research highlights how unlocking the secrets of evolution can save lives. "This study is a great example of the human medical benefits that can come from studying evolution," Fry says, proving that even serpents can be saviours. If dissecting toads in biology class made you squeamish, it’s probably best to look away now.